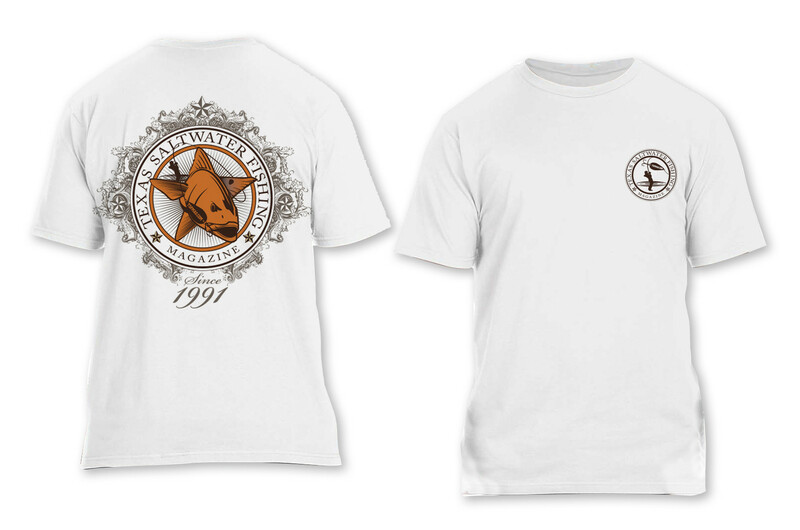 White t-shirt with redfish artwork. © 2013 Texas Saltwater Fishing Magazine. All Rights Reserved.